I strive to offer my brides and grooms excellence in service and a beautiful wedding ceremony lacking in nothing at the most affordable price possible. 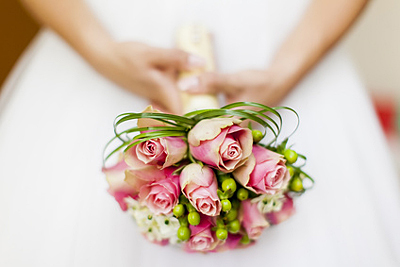 My full wedding fee includes my preparing a beautiful wedding ceremony for you. The fee covers all legal requirements. 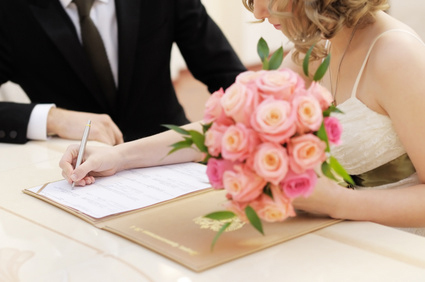 This includes me providing you with the form to change your name after marriage and lodging that form on your behalf. For security I personally lodge your wedding documents with the department of Births Deaths and Marriage after your ceremony. I provide a professional PA system, a signing table/ 2 chairs and a white table cloth (not provided in a private home) I am happy to provide email/phone support from now and until you are 100% happy with your ceremony which I create based on both of you and your preferences. If you would like to book with me the first thing to do is make an appointment, for detailed information regarding first appointments you may wish to read Our First Appointment. 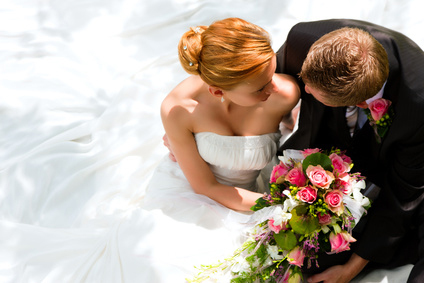 A full wedding ceremony personalised to your requirements, all of my weddings are created for my brides and grooms individually, and reflect your feelings and wishes. Everything you want included will be. You have the option of some beautiful symbolic ceremonies, there is no additional fee for these ceremonies if you wish them to be included, however all items used must be provided by yourselves. I am happy to send information on symbolic ceremonies on request. Also I am happy to provide a complimentary template for the groom's speech if required. Held on Monday/ Tuesday /Wednesday /Thursday only. 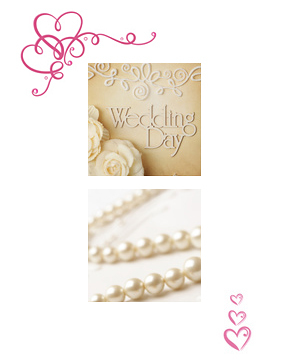 This is a set 10 minute 'registry style' ceremony held at a venue of your choice. The ceremony, while much nicer than 'The Registry Office', is a basic ceremony. l am happy to send a copy of that ceremony to you and offer you the opportunity to add anything you wish. There is no additional fee if you choose to add extra wording or symbolic ceremonies that you chose even if the ceremony runs longer than 'my' ceremony. 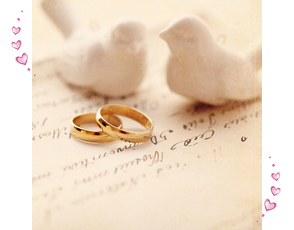 It's important that you are both happy with what is being said and your wedding ceremony is just as you want it to be. There are NO hidden costs. No Tricks, just an excellent service from me as your celebrant at a reasonable fee. 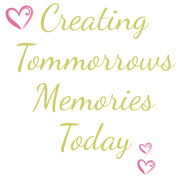 For information on changing your name after your Wedding ceremony please read Changing Your Name After Marriage. Mondays/ Tuesdays /Wednesdays and Thursdays the fee is $300.00 for a set registry style ceremony, within the greater Brisbane area, travel fees apply as below outside of that area. Weddings on a Public holiday are $650.00. These fees apply anywhere with in Brisbane/Ipswich areas. There is an additional fee for travel to the Gold Coast of $145.00 and to the Sunshine coast of $200.00. Travel to either Redlands or Redcliffe or other areas outside of the greater Brisbane area is $80.00. If required a fee of $85.00 applies for a rehearsal. 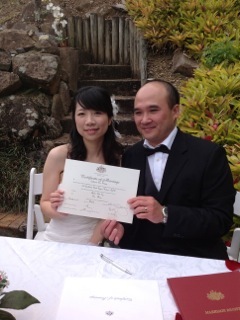 Hui and I would like to let you know that we were so delighted to have you as our celebrant. You have been helpful all along, giving us two little clueless people tips and tricks for the wedding day, we really appreciate your help and we hope you enjoyed marrying us just as much as we enjoyed the whole ceremony! I hope you carry on being such a wonderful celebrant and pass on your wisdom to other brides and grooms, we wish you all the best. Thank you so much Eve! It moved me to tears, you have a real gift, You gave us something wonderful, and you gave of yourself. No amount of money can buy that, you certainly found your vocation. I'm absolutely sure you give a precious and lasting gift to many people. Eve we were so happy with how everything went on the day, it was so relaxed and we truly enjoyed the ceremony. Thank you so much for every thing you did for us we couldn't have asked for a more perfect wedding day.